There are over 50 active adult communities in the Philadelphia area. Homebuyers looking for low-maintenance residences in an age-restricted community have plenty of choices. New and resale home options range from single-family homes and townhomes to condominiums. Popular active adult homebuilders like Del Webb, McKee Builders, Ryan Homes, and Pulte Homes have recognized the popularity of active adult communities near Philadelphia and offer a range of neighborhood sizes that contain sought-after amenities. 55+ communities in the Philadelphia area fall within the humid subtropical climate zone with cold winters, hot and humid summers, and a mild spring and fall season. The average daily temperature in January is about 33 degrees Fahrenheit while the month of July sees an average daily temperature of 78 degrees. Early fall and late winter are dry and February is the driest month of the year with just 2.64 inches of precipitation on average. Philadelphia is the fifth-most populous city in the nation and the sixth-largest metropolitan area in the United States. Often referred to as the Delaware Valley , the Philadelphia metropolitan area makes up much of the valley in which the Delaware River flows and parts of New Jersey and Delaware. Many active adult communities near Philadelphia are found in the following counties: Bucks, Berks, Chester, Delaware, Montgomery, and Philadelphia. Philadelphia is home to a plethora of national historic sites. The hub for most of the national landmarks is the Independence National Historic Park. Here you will find Independence Hall, site of the signing of the Declaration of Independence. Other famous attractions include the Liberty Bell as well as the homes of Edgar Allen Poe and Betsy Ross. Residents of 55+ communities in the Philadelphia area also enjoy the endless array of learning opportunities with famous museums. Such museums are the Franklin Institute, the Academy of Natural Science, the M tter Museum, and the University of Pennsylvania Museum of Archaeology and Anthropology. Those looking for museums rich with history and culture will enjoy visiting the Historical Society of Pennsylvania, the African American Museum, the National Museum of American Jewish History, the National Constitution Center, and the Atwater Kent Museum of Philadelphia. When purchasing a home in an active adult community in the Philadelphia area it s important to consider the cost of living as well as tax benefits. Generally the state of Pennsylvania is a retirement-friendly state that doesn t collect a tax for retirement income. This includes social security, 401Ks, pensions, IRAs, etc. There is a flat-rate income tax that is collected at 3.07 percent. Overall the cost of living in the Philadelphia area is just slightly higher than the national average, yet lower than the state s cost of living. Active adult communities throughout the Philadelphia area have access to 96 hospitals. Of all the medical centers, 23 are top-ranking facilities. 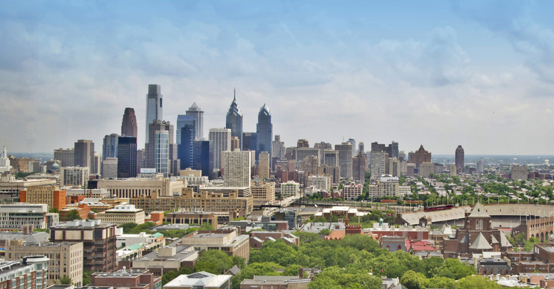 Top-ranking medical centers in Philadelphia are the University of Pennsylvania-Penn Presbyterian, Thomas Jefferson University Hospital, Hahnemann University Hospital, Pennsylvania Hospital, Fox Chase Cancer Center, and Wills Eye Hospital. Other high-ranking facilities nearby include the Lankenau Medical Center in Wynnewood, MossRehab in Elkins Park, and Brywn Mawr Hospital in Bryn Mawr.